Komponist (1746-1819). "Fuga dal Rev. P. Martini in la Raccolta per l'anno 1757 dal Marpurg." 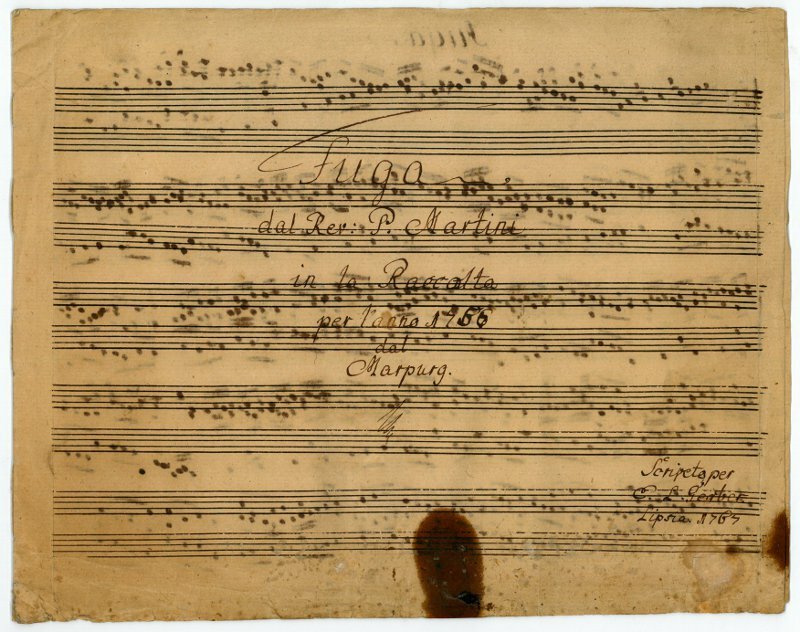 Autograph musical manuscript signed ("Scripto per E. L. Gerber"). Leipzig. Titel, 2 SS. auf gefalt. Bogen. 64 Takte. Qu.-Folio. "Allegro" for harpsichord by Giovanni Battista Martini (1706-84), from Friedrich Wilhelm Marpurg's collection "Raccolta delle più nuove composizioni di clavicembalo di differenti maestri ed autori" (Leipzig, Breitkopf). 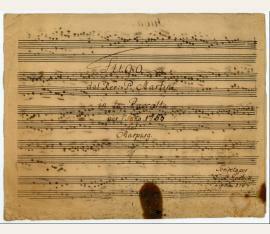 Penned by Gerber during his years in Leipzig as a law student and cellist in the Leipzig orchestra. - Gerber, musical instructor of the children of the Prince of Sondershausen, succeeded his father as court organist and court secretary in 1775. - Some browning, with a large brownstain.